The Road to Indy ladder took a crucial blow early in the week when Mazda announced that it will withdraw its title sponsorship from the driver development program after 2018. In the interim, officials and journalists alike have been speculating on who could replace the Japanese racing giant's influence and—most importantly—its funds. Moving beyond the hearsay of what could be the future of IndyCar's prime feeder series, the bigger picture could perhaps lie in what card Mazda North America Motorsport Director John Doonan & Co. could play going forward. Rumors suggest plenty, but to avoid the uncertainty, we went to the source to find out how Mazda plans on moving forward after its departure from what was an undoubtedly fruitful nine-year stint with the open-wheel world. Speaking with The Drive on Wednesday, Doonan discussed the bittersweet move of dropping Mazda's name from the proven MRTI program. "It was a very difficult day when we made that announcement," he explained. "We did make history with MRTI and we fully support the series continuing with another title sponsor." Meanwhile, Doonan mentioned that Mazda has "full intent" of continuing its partnership with Advanced Engine Research to provide the Indy Lights field with engines beyond the current season. Past that, however, the brand is refocusing its strategy to build on its already-hefty market share in grassroots competition and big-league sportscar racing. 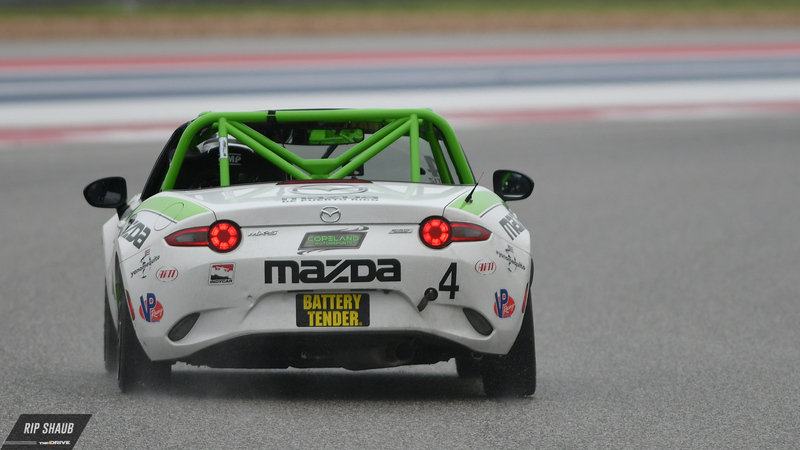 As it stands, Mazda touts a commanding 53 percent space in all SCCA action thanks to its beloved RX family of cars and, most of all, its darling MX-5. 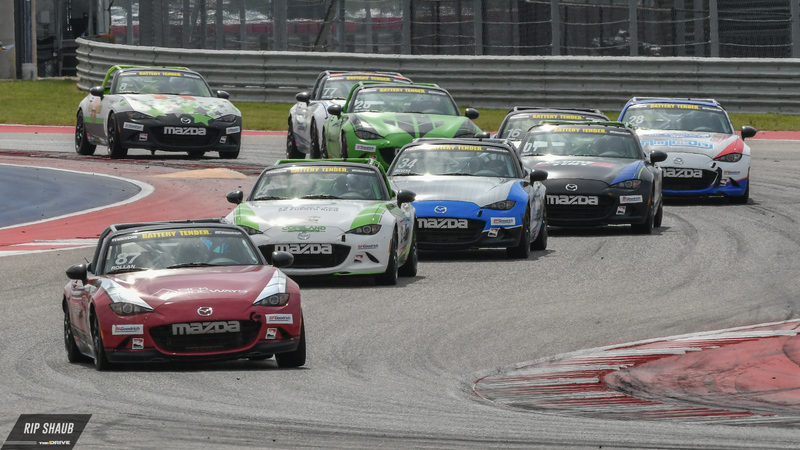 The latter is a clear priority for Doonan and Mazda as a whole, and it'd be reasonable to bet that a major surge will soon be sent to support the wildly popular Global MX-5 Cup series, part of the company's Road to 24 program focused on flourishing sportscar drivers. Having already sold 190 Cup-spec MX'ers over the past two and a half years, it's an obvious honey hole which Mazda plans to hit with its efforts centered on providing the total package. During our chat, Doonan put emphasis on customer value. He said that the rejuvenated marque plans to allocate its attention towards this by investing in an area that gives the most in return, creating a reciprocal win-win for consumers and the brand itself. When asked what this means for Mazda's so-called bigger picture, Doonan elaborated. “Several things: At the grassroots level, that’s the place where our fans and Mazda owners can actually compete themselves. That’s a place where owner loyalty is most evident." 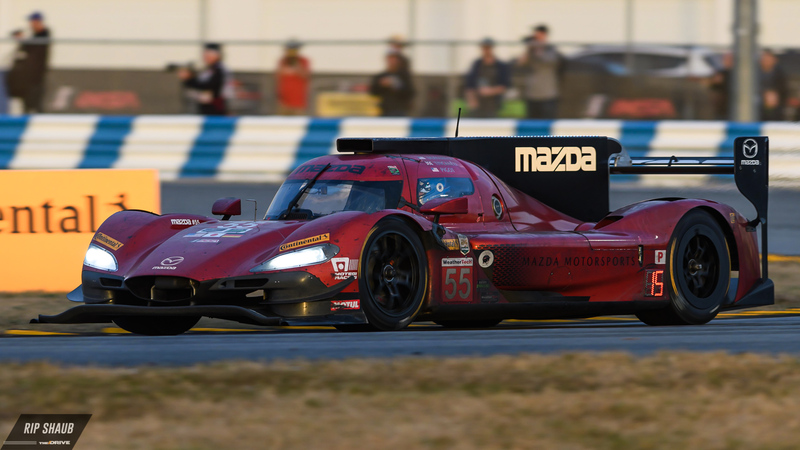 Mazda currently fields two RT24-P racers in IMSA's prototype class—the Nos. 55 and 77. Furthermore, recognizable on-track design is a must for any manufacturer looking to utilize motorsport to its fullest capability of marketing. It's because of this that Mazda will not only bolster its MX-5 Cup workings but also set its sights on progressing its top-level IMSA prototype program with the storied Team Joest. By doing so, it will be able to reiterate the influence of the Kodo design language that is present throughout Mazda's lineup. Doonan drove home that idea by adding how winning programs can contribute to an improved global image. “When we first launched the program a year ago, our goal was to show up and win races," he explained of the IMSA team's 2018 campaign. While the new-for-this-year partnership has knocked on the door of success with a podium at Mid-Ohio in May, it's hard on the path to overcoming its difficulties thus far. Mazda Team Joest crew members work diligently through the night at the 2018 Rolex 24 at Daytona. 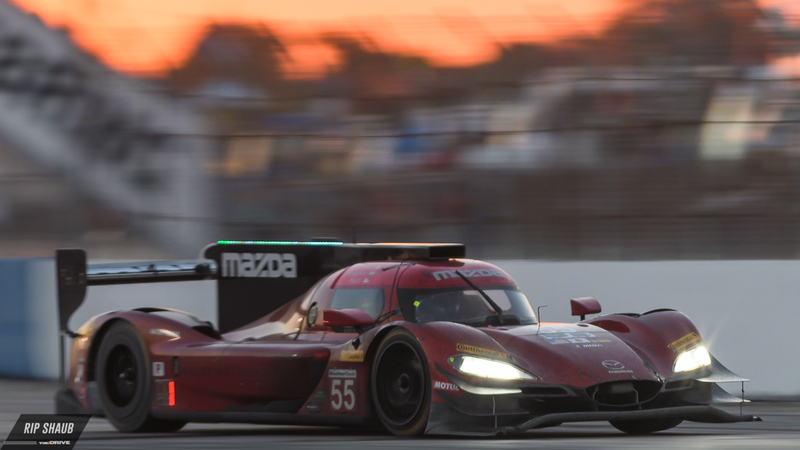 In all, sportscar racing offers a world of opportunity that Mazda is now looking to cash in on, even potentially in areas where it remains tight-lipped. Reasonable assumption would lead one to believe that other new ventures could be at hand for the automaker, likely in the expanding Touring Car Racing (TCR) category. A plausible hunch suggests that the soon-to-be-reworked Mazda3 could be a candidate for the two-liter turbo treatment that, when combined with the rest of the TCR-spec construction, could provide a worthy opponent to the now-dominant VWs and Audis of the current field. If it were to branch out and develop this fresh platform, Mazda could flex its apparently-evident muscle when it comes to selling customer cars [see: 190 $58,500 Miatas sold in under three years]. Starting across the pond in Europe and making its way to North America, TCR is a comprehensive market that could sway Mazda into joining without much effort. It came up in conversation when discussing the company's outlook, and Doonan took a soft approach by complimenting the series on its promise and "global growth." Oliver Jarvis, driver of the No. 77 Mazda DPi. Advancing into 2019 and beyond, it will certainly be interesting to see what road Mazda takes, but if we were to draw from these hints and go all-in, we'd bet on big-time grassroots investment and a splash of newfound interests for the accelerating Mazda enterprise. It is a business, after all.